Does Clay Carmine live in Gears of War? How did the Fate of Carmine campaign end up? Those who played Gears of Wars 1 or 2 may have cottoned on to the running gag that one of Carmine brothers has dies in each game, each in slightly humorous circumstances. In the first, Anthony Carmine poked his head out at an inopportune time and received a sharp sniper bullet for his troubles. The second game saw his brother Ben’s guts liquidated inside a giant riftworm. Lame sauce! The deaths of the Carmine brothers were casual affairs at best. Their deaths were not glorious; they did not turn any tide. If they were anything, they were examples of brutality of war. Soldiers are cannon fodder and their death of the battle field is simply grist to the slaughter mill. 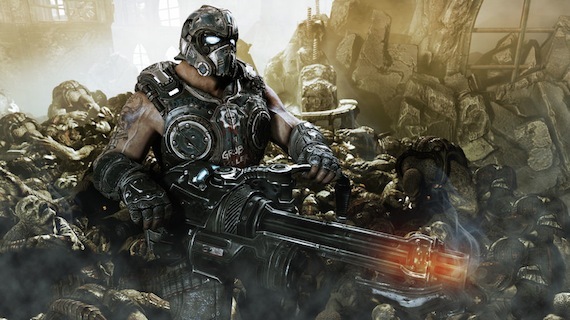 Up for death’s charms in Gears 3 is Clay Carmine. 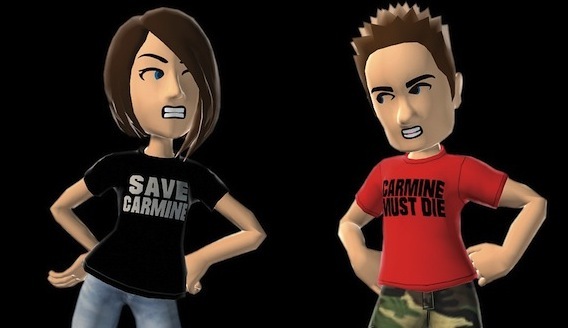 Epic Games has played up this new character’s chances this time round, and last year hosted a charity event of sorts, where gamers could purchase a avatar tshirt which states whether Carmine should live or die. The shirt that had the most purchases is to determine Clay Carmine’s fate. Money raised was donated to a charity which from memory provided Xbox game and consoles to children’s hospitals. Check out Cliff Bleszinski's video about it. So what do you think? Will Clay Carmine live or will he suffer a fate befitting the legacy of his inept brothers? Is this a Team Jacob versus Team Edward debate? It’s clear that Epic have amped up the love for Carmine but do they love him enough, despite the vote? We’ll see this fall when Gears 3 is released. Update: Carmine lives, and lives heroically!